OMAN Cables Industry (SAOG) develops, manufactures and markets a totally integrated variety of electrical products, which include medium voltage power cables, low voltage power and control cables, instrumentation cables, pilot cables, overhead power transmission line conductors and building wires. OCI offers cables with special features suitable for different types of applications, environmental conditions or as per customer requirement. The manufacturing facilities are situated within the largest industrial complex in Muscat, The Sultanate of Oman, with its offices and factory presently occupying an area of 135000 sqm with future expansion plans in mind. OCI have equivalent facilities in Sohar, Oman at its Aluminum manufacturing facility and together has a capacity of copper and aluminum of more than 120,000 MT annually. 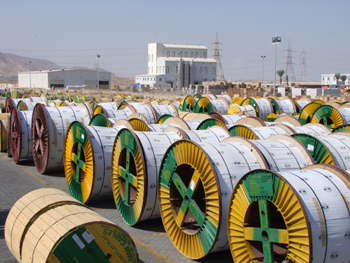 Oman Cables Industry (SAOG) has its offices in Oman, UAE, Qatar, and KSA and has an extensive network of distributors and agents throughout MENA, Asia and Europe.